From Oct. 10-14, the bwin World Poker Tour National Barcelona played out at the Casino Barcelona in Spain. The €1,650 buy-in Main Event attracted 132 players over two starting days including notables like Juan Manuel Pastor, Alain Roy, Leo Margets, and Morten Christensen. However, when all was said and done it was Robert Mats Eriksson who emerged victorious to capture the €52,000 first-place prize. According to Poker Red, the first player to fall at the final table was Corbin White, who five-bet all in with only to run into of Isidre Just. Not long after, Andrew Ayad hit the rail in seventh place for €8,500. After Just exited in sixth place for €10,200, Angel Funes got his stack all in preflop holding and was in great shape to double against the of Pawel Brzeski. The flop gave Funes a set, but it also delivered Brzeski a gutshot straight draw. The turn was a blank, but the on the river was not. Brzeski hit his straight to send Funes home in fifth place for €13,000. Not long after, Mihail Morozovs got all in preflop holding and was racing against the of Eriksson. The nines held and Morozovs was bounced in fourth place for €17,000. Then, a huge hand developed between the two biggest stacks on a board. Eriksson had bet nearly a million holding and Brzeski thought long and hard before calling with the inferior . That pot gave Eriksson 75% of the chips in play, though he'd go on to bleed some of those back. Brzeski eventually fell in third place and took home €23,000 for his efforts. Joel Roset managed to take a 2-1 chip lead over Eriksson in heads-up play after the Swede tried to five-bet with into Roset’s . Despite that setback, Eriksson held strong. 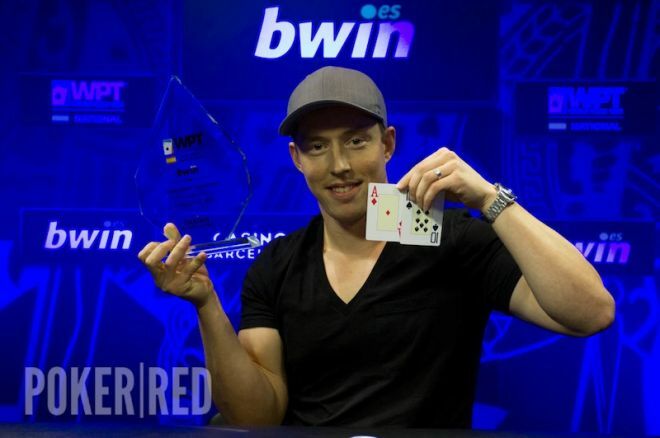 In one hand, Roset continuation-bet on a flop, Eriksson called, and an turned. Roset had made two pair and committed to the pot, which was ill-timed as the same card gave Eriksson, who held , a straight. That hand gave Eriksson a big lead, and soon after he called Roset’s all-in shove for 13 big blinds. Roset tabled and he needed to improve against Eriksson’s . A nine on the flop gave Roset the temporary lead, but a ten on the river gave Eriksson the tournament. The next WPT National event will be held from October 17-21 at the Gioco Digitale WPT National Campione. *Lead photo courtesy of Poker Red.